READING . . . The foundation for all learning. 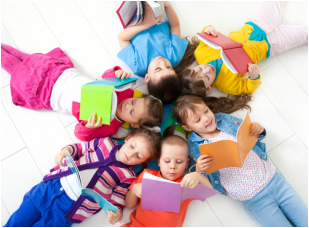 Learning ABILITIES’ goal is to enable students of all ages to experience success by helping struggling readers to accelerate their reading achievement. The philosophy is to match learning styles to learning needs by specifically teaching reading, writing, and spelling using multisensory structured language techniques. Learning ABILITIES provides specialized, one to one instruction that is research based, multisensory, phonetic, structured and cumulative. Instruction is provided using the Orton-Gillingham approach which has been used effectively with students with learning disabilities for over 50 years. Learning ABILITIES matches students with specific learning styles with providers that can best meet their needs in their own geographic areas. Success is based not just on what is taught, but how it is taught. This program is based on the knowledge that our students learn using all their senses. The information presented is very systematic, cumulative, and teaches to their intelligence versus rote memorization. In addition to individualized instruction, consulting, training and in-services are available for small or large groups.